It’s not really my thing, poetry. Like the scrum in rugby it’s a mystery to me therefore I don’t appreciate the processes and skills involved. But I watched the docu-film ‘One Million Dubliners‘ yesterday. It’s all to do with Glasnevin Cemetery in Dublin. I absolutely commend this to you. 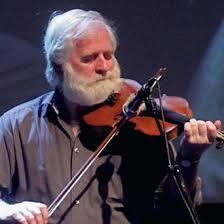 During the film, John Sheahan, the surviving member of the original ‘Dubliners’ band recites his poem which I thought I’d share with you on this last day of 2014. Happy New Year everyone. Roy, thanks for posting this wonderful poem and I hope that 2015 will be a healthy, happy, productive and many, just maybe poetic, for you. Thank you Jean and every best wish for 2015. Thanks for sharing, Roy. Wishing you the very best in the New Year! Many thanks Jill. Happy New Year! Poetry’s not really my thing either, but that is simply wow. Thanks for sharing, Roy. Yes, nice and simple and little interpretation required Britt. All the best for 2015! Love that Roy. Happy New Year to you and wishing you all good things for 2015. Thanks so much Andrea. Every best wish for 2015. What a beautiful poem to end the year with, Roy. The movie looks intriguing and moving as well, thank you for the recommendation. May you have a wonderful, creative, fun new year! Hiya – yes the film is totally intriguing, fascinating and poignant. Well worth seeing. There are as many buried in Glasnevin as are walking around Dublin today from the very famous to the ordinary person. Look forward to staying in contact this year Letizia. Hello Dianne – yes they are beautiful in their simplicity don’t you think? That’s a hard thing to achieve. Every best wish to you and your family for 2015 Dianne. How true Jenny. No matter how humble our contribution we can all add a little to the world. Hope you and your family have a great 2015 Jenny. signature in the air!! Perfect! Thank you for sharing this Roy!! Happy New Year!! Thank you Cybele – it did strike a note (so to speak). Happy New Year! Roy. All the best for 2015. Well, I’ll be all ears for your Glasnevin blog post, Roy! I do hope you get there, it’s a wonderful spot. I treat poetry like dark chocolate-intense, and delightful in small doses. Yes, I saw the documentary on TV in November. I actually had intended to blog about it before life caught up with me and my blog! Bring your camera, Roy. It’s the best way to enjoy the Botanic Gardens. Taking photographs there opened my eyes to the beauty of flowers and the intensity of their colour. Naturally, the time of year will make a difference but you’ll find something there in all seasons. Mind you, you will probably spend most of your time in the graveyard anyway! And Gravediggers, of course! Love this post, Roy. The poem is wonderful. The last line particularly gets me thinking of what signature I left in 2014 and what signature will I write in 2015. All the best to you for the year ahead. Thanks John – indeed we’ve done ok if we add a little value as we go through life. Sheahan has summed it up perfectly. I’m not a big poetry fan, but when I do hear something I like, I love it. I think school ruined poetry for me. Why do they always select poems that no one would choose to read??? ?